Interested in a FREE trip to Israel with a focus on the environment, this is the trip for you! The application deadline is today — Monday, March 31. 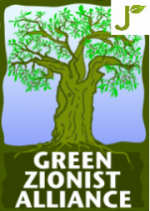 Visit our website to for info on the application: http://www.greenzionism.org/greenisrael Select IsraelExperts as the Trip Organizer, June - Green Israel as the Trip Selection & enter Referral Code GZA30. Fifteen years ago four Australian athletes died when the bridge they were crossing collapsed over the Yarkon River in Israel. But only one of them died from the fall. The other three were killed by something more unexpected: The river's pollution. Click here to continue reading this article.